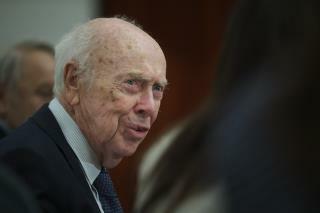 (Newser) – James Watson, the Nobel Prize-winning DNA scientist who lost his job in 2007 for racist views, was stripped of several honorary titles Friday by the New York lab he once headed. Cold Spring Harbor Laboratory said it was reacting to Watson's remarks in a TV documentary aired earlier this month, reports the AP. In the film, Watson said his views about intelligence and race had not changed since 2007, when he told a magazine that he was "inherently gloomy about the prospect of Africa" because "all our social policies are based on the fact that their intelligence is the same as ours—where all the testing says not really." In the 2007 interview, Watson said that while he hopes everyone is equal, "people who have to deal with black employees find this is not true." In this month's documentary, he said genes cause a difference on average between blacks and whites on IQ tests. The laboratory, calling the latest remarks "reprehensible" and "unsupported by science," said they effectively reversed Watson's 2007 written apology and retraction. It said it had revoked three honorary titles, including chancellor emeritus and honorary trustee. Watson had long been associated with the lab, becoming its director in 1968, its president in 1994, and its chancellor 10 years later. A school at the lab is named after him. Watson's son, Rufus, said Friday that his father, who's 90, was in a nursing home following an October car crash, and that his awareness of his surroundings is "very minimal." "My dad's statements might make him out to be a bigot and discriminatory," he said, but that's not true. "They just represent his rather narrow interpretation of genetic destiny. My dad had made the lab his life, and yet now the lab considers him a liability." Kangaroo court in session again ! The man is right in what he says , " nothing like stating the bloody obvious " as they say . Those SJW's out there trawling the internet for things people said long ago with a view to destroying their careers because that gives them such a feeling of accomplishment, sort of people that believe every word BLM or Islamists , or anyone into victimhood tells them . Young people with absolutely no experience of our world and the way it works , none at all , pig ignorant "know it all's "
if the tests are unbiased then what can you do except attack them and suppress them if you dont like them. We can assure that bigotry and prejudice based on skin color is eliminated within a generation by requiring that all newborn babies must have their eyes put out before leaving the birthing center.